Comment: Second Isaiah offers a rather mundane and common understanding of God’s revelation and reaching toward us when we read that we are to value our hearing above our seeing. Here, we learn to look for God in the ordinary rather than in the spectacular. Kelton Cobb offers, “God trains the tongue and attunes the ears of the prophet, then proclaims the word of God to others – whose ears must also be awakened, we can presume, if this is to be a Word of God to them.” The message of attuning our ears to God rather than our sight plays well into the stories we re-visit each year as we study the life of Christ. As humans we will not see any of Christ’s miracles, and we are not present at his birth or death, but in attuning our ears to hear God we learn the wisdom of God’s presence with us and work for us throughout all of time and space. As we enter Holy Week, we must again have our ears awakened by God to listen to (and learn from) the stories of life, death, and salvation. Then, we will be the learned. In being the learned, Second Isaiah tells us we will learn how to be teachers to others and sustain the weary with our words. Listening, per 2Isaiah, is the premier means of receiving divine guidance and wisdom. McGill’s book is the story of a desire and spirit for freedom as told through multiple generations. The storyteller is passing on to us the story of her great-grandma’s mama, Jane, who witnessed her people flying “way up and over everything.” Jane was instructed by her Overseer not to share the story, but she did – for generation after generation. The flying stories gave hope to people oppressed – the weary. By listening to the words carefully, and learning their meaning, the generations continued to pass along hope and wishes for freedom until well after the Civil War ended in 1865. The slaves telling the stories passed along “a great, wonderful secret” which allowed those who came before and those who would come later to “stand up together” and receive the hope of others, much like the prophet in Second Isaiah shared the help of God. The story of valuing hearing over seeing allowed the slaves to temporarily transcend the reality of their days in captivity, until they were able to escape to freedom. Comment: This brand new book (published February 21, 2017) is designed around Galatians 5:22-23a, but it is a wonderful story to help illustrate the humanity of Christ Jesus as told to us in Philippians. 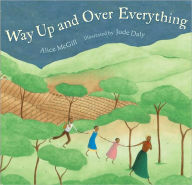 The book introduces us to a young boy and his grandma. He questions her about recognizing God and where God lives, to which she answers that he must open his eyes and pay better attention. The boy won’t find God necessarily in human form, but he’ll see where God lives when he recognizes behaviors of the Spirit. This wonderful story opens our eyes to a non-traditional family (grandmother raising her grandson). Additionally, we begin to see how we might be more receptive to God’s presence and Spirit in our own lives if we, too, use the lenses the boy teaches us about in his story. While our Philippians passage does speak to Christ in human form, we quickly see that Jesus didn’t seek equality with God for his own sake, rather he sought life in and among humanity. Through Christ in human likeness, we learn how to love, how to serve, and how to live for the purpose of the Kingdom come, and so that others might recognize God’s Spirit and traits, and “every tongue should confess that Jesus Christ is Lord, to the glory of God.” In the end of the book the boy says, “I know what God is like. Maybe I can be that way too.” This is the entirety of God’s purpose for Christ Jesus in human form; that we may all learn the nature of Our God. Comment: There is really no good way to re-tell the Palm and Passion narratives other than to share them straightforward with the congregation, especially with our children. The SparkHouse Family has created a series of books, movies, and other resources to help children and families experience the Lent and Easter stories together and in depth. This particular week offers us two directions for the Gospel narratives: Palms or Passion. If your congregation is not planning to address the Passion narrative in additional Holy Week services or activities, this book will be helpful in tying together the two liturgies and narratives. 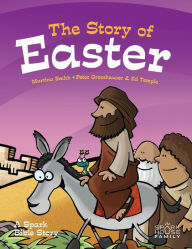 And even if you do have Holy Week activities, I might suggest using this resource during the children’s time in order to help them draw immediate connections between Christ’s entry into Jerusalem and his impending trial and death. The book offers colorful and child-friendly illustrations to help the children engage the stories. At the end of the book there are resource activities and questions that tie in nicely with the story. 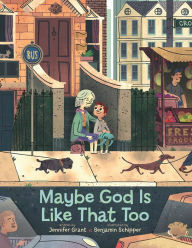 One of my favorite things about this particular story versus other Palm/Passion children’s books is the direct quotes from scripture broken down into smaller, bite-sized snippets for all ages to comprehend. Should you choose to go this route for Lent 6, my strong suggestion is to end the story-sharing at page 21. Venturing onto page 22 and beyond introduces the Easter story, and I don’t think we’re quite ready for that story before engaging Holy Week. Katie Barrett Todd, Union Presbyterian Seminary alumna, is the writer for this week’s Lectionary Links. Lectionary Links (RCL): April 9, 2017 by Storypath is licensed under a Creative Commons Attribution-NonCommercial 4.0 International License.